How do you measure age? Do you determine it by the number of years you’ve lived, the level of wisdom you’ve gained or the way in which you act? According to George Bernard Shaw, growing old isn’t part of nature, it’s a choice – and it all depends on your mindset. As a writer and literary critic, Shaw understood that wonderful things could come from the mind, and that creative spark was embodied in his work. In fact, he demonstrated his powerful mentality so well that he won the Nobel Prize for literature in 1925. According to Nobelprize.org, Shaw’s pamphlet, novels and criticisms demonstrated his disregard for conventions and enthusiasm for rationalism. Rationalism involves the belief that reason, rather than experience, dictates the foundation of certainty and knowledge. Though life’s experiences tell us that growing old comes with certain customs and behaviors Shaw argues that a little mental reasoning can make all the difference. Keep acting young, and you can stay young. “We don’t stop playing because we grow old; we grow old because we stop playing,” the famous playwright said. By this, Shaw meant that aging is a state of mind rather than an inevitable part of life. Playing, a childhood behavior, doesn’t have to stop. Whether you enjoy walks in the park, crafting or writing, you don’t have to end these activities because of your age. Sign up for a group class in your active retirement community. Exercising and meeting new friends is a fun way to stay active. Take the grandkids out for a daytime activity. Whether you go to the park or wander through a museum, you’ll have a great time seeing things from their perspective and enjoying the adventures the day brings. Pick up a hobby. Between painting, knitting and gardening, there are plenty of ways you can stay busy while doing something you love. Remember, age really is just a number. 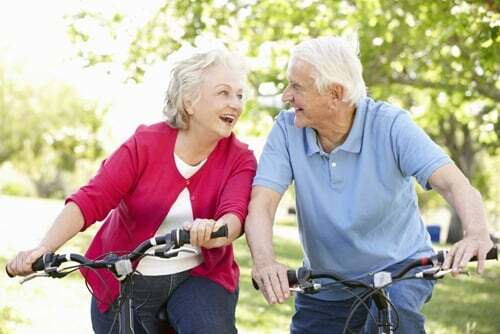 Spend your retirement lifestyle having fun and enjoying each day.